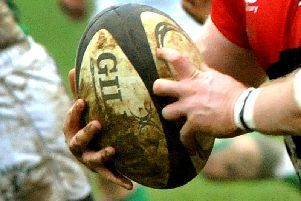 Olney brushed aside Bletchley to head into the second round of the Lewis Shield, winning 43-13 at the Rec on Saturday. It took the home side just two minutes to open the scoring, as Jake Deighton scored out wide, with Patch Adamns converting. Bletchley’s Phil Harman kicked two penalties to move the visitors within two points, but Charlie Harris’ converted try made it 14-6. Phil Bowden scored a third for Olney, before Adamns scored and converted a fourth to extend their lead to 26-6. Bletchley pulled one back shortly before the break though as Dean Willhew stormed through to cut the lead to 26-13 at the interval. Ten minutes into the second half, Hamish Bull continued Olney’s scoring to extend the lead to 31-13. From the kick off, with the benefit of two penalties against the opposition, Olney won the ball and a determined run from Harris produced his second try, converted, for the hosts to go 38-13 in front. Again Olney launched a counterattack from the kick off. The ball carrier was bundled into touch but Olney won the ball on the Bletchley throw in. They fed the threes and Deighton went over in the R.H. corner to achieve his second, and the last, score of the game, 43-13.